Many coffeemakers exist in the marketplace today with varying features, including the filter size. The filter can either be cone or basket shaped, as well as either a permanent or paper type. The cone filter size must match the coffeemaker for the appliance to run properly, making flavorful coffee each time. Depending on the coffeemaker's manufacturer, a cone filter is shaped with a large, round opening that narrows down into a point. This filter type is commonly used with a drip coffeemaker. Hot water drips down into a coffee-filled filter. 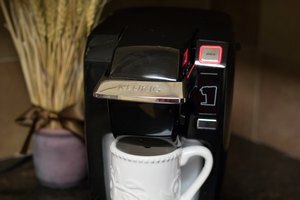 The hot water moves through the coffee grounds and eventually drips out of the coffeemaker as coffee. Many coffeemakers come with permanent cone filters that can be washed out and reused. Paper cone filters are used once and discarded. The paper filters typically fit snugly into the coffeemaker, just like the permanent filter, and word just as well. Cone filter sizing depends upon the coffeemaker's size. Number 1 size filters are mainly for small, one-cup coffeemakers, both electric and non-electric. 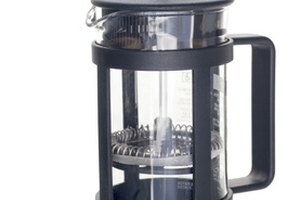 Number 2 size filters work with electric coffeemakers equipped with four to six cups, as well as two-cup non-electric makers. Number 4 size filters fit electric coffeemakers with eight to 12-cup capacities. Number 6 size filters work with 10-cup non-electric coffeemakers. 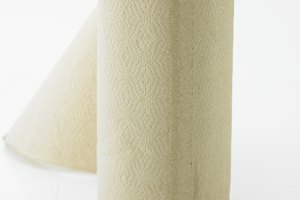 Both permanent and paper filters have their benefits and drawbacks. 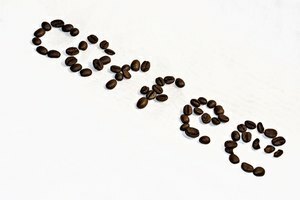 Paper offers a clean filter for each coffee brewing session, but contributes more waste accumulation within landfills. Permanent filters save paper, but can become grimy with coffee residue after many uses. Additionally, consumers save money by reusing the permanent filter, rather than purchasing new filters. The cone shape contributes to quality cups of coffee. Coffee concentrates down at the filter's narrow point. The coffee's density creates more movement from the dripped water across the coffee's surface area. More water saturates through the coffee grounds, as opposed to just slipping in between the individual grounds. As a result, coffee drips downward with more flavor absorbed from the grounds. 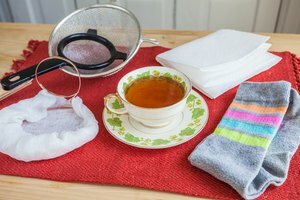 Consumers should choose a paper coffee filter with care. Cheaper filter manufacturers use paper that can burst from the heated water infiltration. In addition, cheap paper may alter the coffee's final taste, emitting chemicals from the filter paper into the coffee. In contrast, permanent filters typically use gold-plated metal or plastic as filter material. 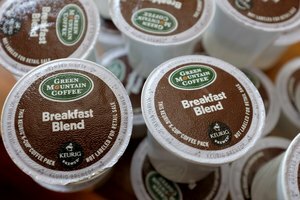 Although plastic may alter the coffee's taste slightly, the gold mesh does not contribute any flavor at all. The gold mesh allows the coffee's true flavors to bloom during the drip process.